Nice laptops deserve to be cared for and protected. Even the slightest drop, ding, dent or scuff can detract from the beauty that is the Macbook. 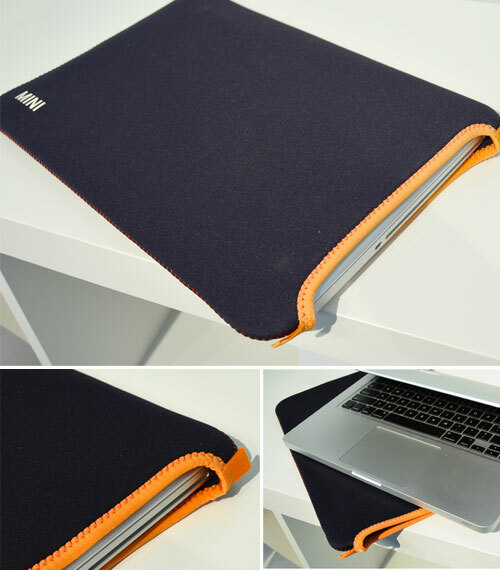 Now that I have one of these for my personal Macbook I may never travel without dropping it in one of these padded sleeves to give it that extra level of protection. The image shown is actually a 13" macbook pro but the stretchy material will give quite a bit to fit the 15" for which it was actually designed.